207.68 UAH/kg. - from 20 kg. 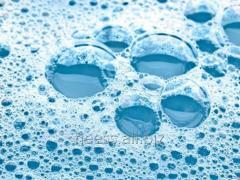 Application: amphoteric surfactant possessing soft washing action in combination with zagushchayushchy properties. Product for cosmetic use. 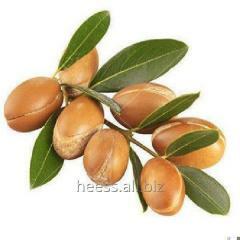 SOLUBILITY AND STABILITY surfactant of sweet almonds (RESASSOL® AGM, SODIUM SWEETALMOND AMPHOACETATE). Let's dissolve: in water, including in high concentration. It is not soluble: in oils. Compatibility surfactant of sweet almonds (RESASSOL® AGM, SODIUM SWEETALMOND AMPHOACETATE):let's combine with annionny, not ionic and cationic surfactant. Surfactant of sweet almonds (RESASSOL® AGM, SODIUM SWEETALMOND AMPHOACETATE) is received from fatty acids of sweet-almond oil and is surface-active substance. 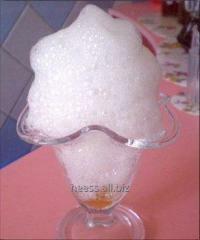 Not the most foam surfactant (as babassu or kokosulfat), however very softly clears skin and zagushchat compounding. The structure surfactant of sweet almonds (RESASSOL® AGM, SODIUM SWEETALMOND AMPHOACETATE) is simple: water (68-72%) and sodium almonds-amfoatsetat (28-32%). Penoformiruyushchy abilities are popular in shampoos and shower gels: if you add perfume or essential oil, receive amazing means for clarification of skin. Fans of soft washing will like silkiness of skin after means on almond surfactant! It is surfactant of sweet almonds (RESASSOL® AGM, SODIUM SWEETALMOND AMPHOACETATE) it is compatible to other amfoatsetata, however in independent application shows good detergency too. The complex of phytoestrogen remarkably will suit any type of skin. Antistatic for hair: facilitates combing, conditions. - conditioning (the facilitating combing). Cosmetic application surfactant of sweet almonds (RESASSOL® AGM, SODIUM SWEETALMOND AMPHOACETATE): 5-25% (proceeding from the mass of ready-made product), 3-15% (optimum input proceeding from the carried-out tests). - household chemicals — 5-15%. 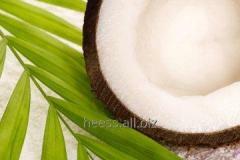 Unbelievable price on Surfactant of sweet almonds, RESASSOL® AGM, SODIUM SWEETALMOND AMPHOACETATE in Belogorodka (Ukraine) company MH i Gustav Geess Ukraina, OOO.